I love reading short stories. Perhaps because with two small kids, a household to run, and fundraising duties in my children’s school, I can never seem to finish a novel the way I used to. It drags on for weeks and I lose that exciting momentum that pulls you through a longer, complicated plot. So it seemed natural that when I began writing again, after taking a long break due to my teaching career and motherhood, I would craft in the shorter form. 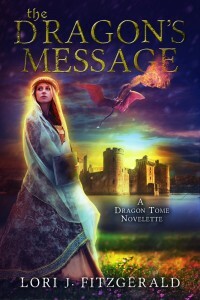 The Dragon’s Message is a novelette, one of three that I have planned in the Dragon Tome world. According to The Magazine of Fantasy and Science Fiction, flash fiction is up to 1,000 words, a short story is 1,000-7,500 words, a novelette is 7,500-15,000 words, and a novella is 15,000-25,000 words. I think writing in one of these shorter forms is perfect for the writer who is coming to the desk as a second career. After all, I can’t refuse to cook dinner because I have a writing deadline (imagine the family mutiny! ), but I can outline a character sketch or even type a paragraph or two if inspiration hits while dinner is in the oven and the kids are watching their after-homework TV shows. It gives me a great sense of accomplishment that I am fulfilling my passion and enriching my mind and soul by finding the time, here and there, to write. 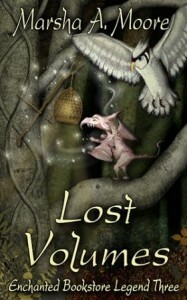 Of course, The Dragon’s Message did take me approximately four months to finish. But it was worth it, and I’m in no rush. I’ve gotten better at finding blocks of time to write, and have two more stories finished (and waiting patiently for their turns), and one in the works. There is a great market for shorter literature on social media. Many people will scroll through Twitter or Facebook on their commutes, lunch breaks, or waiting for appointments. I’ve found it a blessing to schedule posts and tweets especially during these key times of the day. And many of these readers are like me, looking for a great fantasy story in their little personal spaces of the day to spark their imaginations. 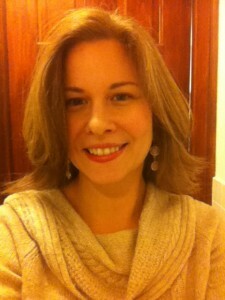 Lori J. Fitzgerald lives in New York with her fellow English Major husband and their two little bookworms. Medieval literature is her passion, and she wishes she could spend more time traipsing around Renaissance Faires and shouting “Huzzah” at jousts. She was a middle school English teacher for many years and was best known for her dramatic readings of The Princess Bride. Lori is currently a Staff Writer for the website Once Upon A Fan, the popular fansite for ABC’s hit show Once Upon A Time. You can contact her by email at WhiteRaven829@gmail.com or on Facebook or Twitter. Many think that fantasy stories are all “made up.” Quite contrary to that belief, writing historical stories, as fantasies tend to be, requires a great deal of research. 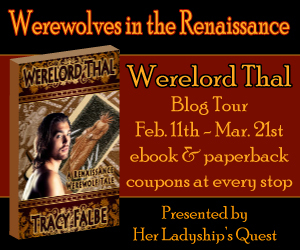 Tracy is here today to share a little of what she learned in researching Werelord Thal. The Renaissance is known for so many lofty things like great art, rediscovery of ancient science, navigation of the oceans, and book printing. But it was also a time of bitter religious conflicts, gunpowder weaponry, and escalating wars between rising commercial empires. Many men were needed to fight the incessant conflicts, especially since “canon fodder” was a new class of combatants. Armies are terribly expensive for kings to keep handy. So like today, rulers started “outsourcing to private contractors” to save money. Therefore a class of mercenaries became useful when one prince needed to destroy another prince. In the late Middle Ages, mercenary captains or warlords arose in Italy because the numerous warring states of that sunny peninsula had more money than soldiers. Mercenaries from all over Europe found employ among Italian princes. Their warlord leaders were called condottieri, a word based on the Italian word for contract. They would be contracted to find their own soldiers and fight whoever they were being paid to attack. Because the condottieri were not natives motivated by love of country, they valued profit and survival more than glory. The increasing employ of condottieri by nobles and kingdoms began to transition the nature of warfare from a so-called “noble” pursuit grounded in chivalrous sentiments to a cutthroat and sneaky one. Blasting apart walls with gunpowder was much better than valiant charges on horseback. The profit motive of condottieri naturally made them susceptible to changing sides. The highest bidder gets the best warlord with the most soldiers. The condottieri were often quite effective at what they did and amassed fortunes and political power. Men of non-noble birth were even known to succeed in this career and become influential. As the Renaissance progressed and nation states took shape and grew wealthier, the wars became larger. The demand for mercenary troops increased, and condottieri were crucial to waging campaigns. In the book Furies: War in Europe, 1450 to 1700 by Lauro Martines, this era of warfare is known for the rise of the entrepreneurial warlord. They would try to keep profits high by finding the cheapest labor they could, often by abducting men or emptying jails to force men into soldiering. Nations did this as well, but often it was performed by the contractors. Cheap soldiers and effective tactics meant for fast fights and more money for the commanders. 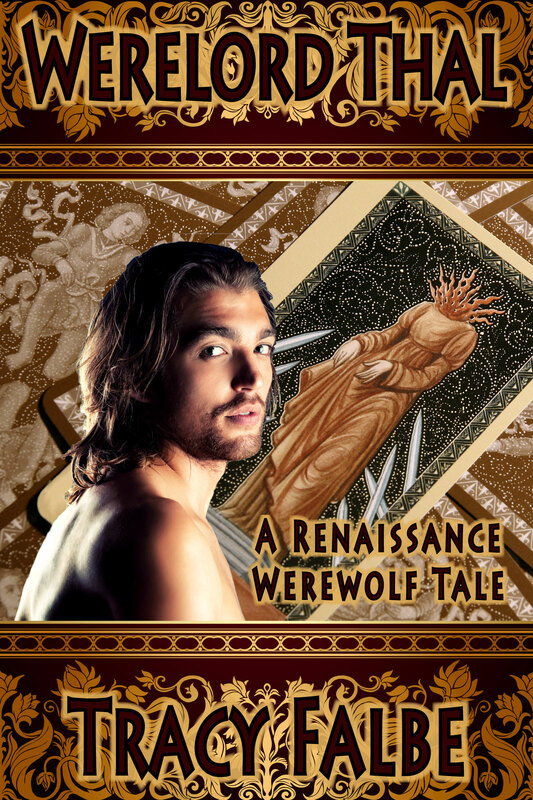 In my newest novel Werelord Thal: A Renaissance Werewolf Tale I developed a condottiere character. (Condottiere is the singular form of condottieri.) Condottiere Valentino Sangoro of Milan is hanging about Prague in the story because so much conflict is simmering below the surface. The book is set in 1561 when the Roman Catholic Church and the Holy Roman Empire were gearing up to halt the spread of Protestantism. The character of Valentino was my vehicle for illustrating the contentious atmosphere and the dirty business of Renaissance warfare. In this little exchange between Valentino and the hero Thal, I display the greedy faithlessness that I imagined for a typical condottiere. Valentino lifted his beer. “Her in-laws are Protestant agitators. She’s involved with a group of nobles plotting to drive out the Church,” he said and took a drink. He wiped his mustache and shook his head at their folly. But it did not matter. A lot of money was going to be on the table sooner or later, and the highest bidder would have the best cause in Valentino’s view. Click here for a four chapter preview of Werelord Thal. I consider writing a necessary activity that I enjoy. I have the most fun writing in the fantasy genre. I find inspiration in history and like to contemplate warfare before gunpowder and life without modern technology. Placing characters in an elder fantasy world fascinates me and allows me to explore age-old notions of bravery when combat was often done face-to-face. Magic is another story element that adds to the pleasure of writing in this genre. Korinna’s life gets turned upside down when the ghost of her father suddenly appears. Her father was duke of Kyratia City and he wanted Korinna to marry his warlord, the foreign mercenary Galenos, and inherit his title–but the city’s Council has other plans. When the Council denies Korinna’s right to rule, she decides to join Galenos’s mercenary company and tame a wild marewing in order to take the city by force. But people whisper that the late duke’s untimely death was murder, an induced madness that forced him to dance himself to death–and now that madness is spreading. Can Korinna become a marewing rider and conquer Kyratia in time to save everyone? 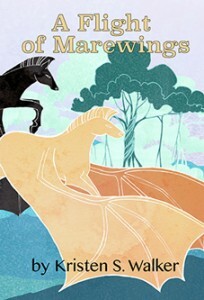 A Flight of Marewings is availible from Smashwords, Amazon, iBooks and Barnes & Noble. You can also find it on Goodreads. My newest epic fantasy novel focuses on monsters called marewings, which are part horse, part dragon, part demon—all warped together by magic. Cynthia invited me to talk more about what is a marewing and the role they play in my fantasy world. In my fantasy world, not everything is known about marewings, because they tend to avoid people and they’re hard to study. Ever since their first appearance several centuries ago, they’ve been the subject of speculation and legend. Some people believe that they are a gift from Kylara, the goddess of war, while others think that they’re demons sent to punish humanity. But since no one knows for sure, the wild rumors can fly. Strangest of all, no one knows how they breed, because like their name implies, only female marewings have been observed; nor has anyone seen a pregnant or infant marewing. Where they come from is a total mystery. A few things are known for sure. Unlike some other monsters that attack humans or attempt to infiltrate human habitation, marewings are reclusive, and their flight allows them to avoid people by keeping to the mountains and other remote areas. They resemble horses in many ways, including diet. Their wings are very large and leathery, but even so, these aren’t enough to keep the large animals airborne. They seem to get their lift from the magical cloudfruit. Cloudfruit trees grow in marshes and swamps for most of the year. When the fruits start to grow, they’re encased in a hard pod or case that keeps them submersed in fluid. But when they ripen, by the light of the last full moon before the Longest Night, these pods crack. The air activates the magic of the cloudfruits so they literally float up into the air—pulling the rest of the tree along with them! Marewings gather and eat the fruit, which gives them power to fly for another year. When marewing herds come to the cloudfruit groves once a year, this is the only chance for a human to catch a marewing. Would-be riders must climb the floating trees, harvest fruits, and try to lure a marewing closer. If they’re successful, the rider and marewing form a mystical bond that can last a lifetime. While marewings won’t let most people come near them, their rider is their closest companion. Riders still have to train and learn how to work with their mount in order to fly together successfully, but somehow, they seem to have a connection that allows them to communicate more effectively than most human/animal pairings. This bond only happens once for a marewing, and they will never accept another rider in their lifetime—and since marewings can remain active for more than thirty years, that’s quite a commitment! Marewings are one of the few types of monsters that can be trained to work with humans, and they’re effective for one thing: fighting. Since there are no true horses, and the native donkeys do not cooperate in combat situations, most combat takes place on foot. But marewings give a great advantage to soldiers by allowing them to fly over fortification walls and mountains to attack their enemies directly. Because of their advantage, the number and skill of marewings in a mercenary company can determine their likelihood of winning a battle. Marewing riders mostly fight from a distance, using bows. Crossbows have less range and can be awkward to load while riding, so most riders prefer to use a recurve bow for maximum range and power. But up close and personal, the marewing herself is a deadly combatant, with sharp teeth, cloven hooves, and a fierce protectiveness for her rider. Marewings are monsters and we don’t know everything about them. Riders have gained some understanding and use that in military strategy. There may be more to learn in the future, especially if mage-scholars can come to an agreement with marewing riders like Korinna and Galenos to study them more closely. Read A Flight of Marewings and keep an eye out for future installments in the Wyld Magic series if you want to learn more! Fantasy author Kristen S. Walker dreams of being a princess with a flying horse, but she settles for writing stories for teens and adults. Her new epic fantasy novel, A Flight of Marewings, tells the adventure of a duke’s illegitimate daughter who must stop her father’s murderers–by taming a dangerous monster. A Flight of Marewings is now available in print from Amazon and digitally from Amazon, Barnes & Noble, Smashwords and other ebook retailers. 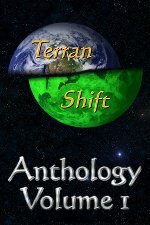 To read a sample chapter or check out Kristen’s world-building references, please visit kristenwalker.net. 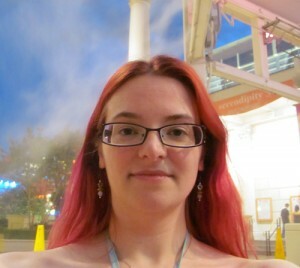 You can talk Sherlock, horses, and crochet with Kristen any time on Twitter or Facebook. 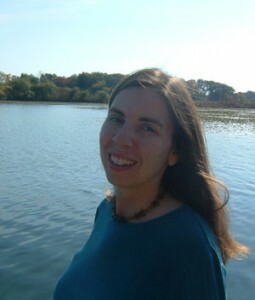 Marsha A. Moore joins us today to wander around the words. Congratulations are in order. 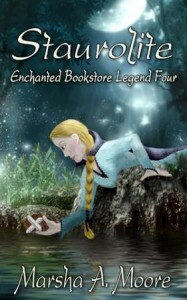 Marsha has just completed the final book, Quintessence, in a five book epic fantasy series, the Enchanted Bookstore Legend. 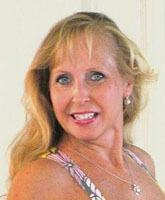 She is back again after posting here in November of 2o12 after completing the third book in her series. And now she’s going to tell us a little about how it feels to finish a five book series. So let’s welcome Marsha by seeing what she has to say and leaving some comments. Lyra must use her rare magical energies of quintessence to guide her to the hidden keystones before her opponents, who plan to destroy the Alliance, or to claim the power of quintessence for themselves. In the above description of the final Enchanted Bookstore Legend my heroine, Lyra, is desperate to master the ultimate power of quintessence. You might wonder—what is Quintessence, and how will it help Lyra? It’s an alchemical term, referring to the fifth essence or element, ether, the constituent matter of the heavenly bodies. The other four natural elements are air, fire, earth, and water. This fifth element is superior to the others. It is the divine spark hidden in all things, the reflection of the Celestial Fire. Quintessence is formed by the perfect balance of the four natural elements. The harmony of the fifth power is an exalted state. In the world of Dragonspeir, quintessence is the greatest power that any magical being can possess. As the fifth Scribe, Lyra is capable of earning this power. But she has had to work hard, enduring many hardships and risking her life. Over the course of a series of five books, she’s completed numerous dangerous quests. She’s also made many treasured friends along the way. On all of those adventures, I’ve enjoyed guiding her and her beloved wizard, Cullen, along with his animal assistants, Kenzo the tiger owl and Noba the pseudodragon. Those four rest very close to my heart. I’ve invested over three years writing this epic tale. During the last year, I’d been eager to realize the culmination of the twisted, interwoven storylines. However, while writing the final book, Quintessence, when I approached the last five or six chapters, I hesitated and had to force myself to go on. That’s not my normal rhythm, usually ending a novel like it’s burning my fingers. And I well knew what the plot required. I just didn’t want to part with my characters and that incredible fantasy land. With the series now complete, I feel proud of my work. Looking back, it seems a huge accomplishment. But it was an effort of love, without hardship, so completing the path feels like only a small milestone. What I’m more proud of are my characters—the strength, compassion, loyalty, and love they shared. I feel like a happy parent seeing children leave the nest, sad for my characters to leave my daily life, but thrilled they will now share their endearing qualities with new readers. At times, even though I’m eager to enjoy the storyline while writing a new book, I feel lost as I awkwardly attempt to shape new characters. They seem like strangers I must work to get to know. Frustrated with the slow process, I often ache to write more about Lyra, Cullen, Kenzo, and Noba. Perceptive readers of my legends will be aware that two important child characters, one good and one evil, remain at the end of the fifth legend with futures that could be potentially significant. Some days, I love to daydream about those two children…what paths they might take in the world of Dragonspeir. Thank you, Cynthia, for inviting me to share my experience with your readers. 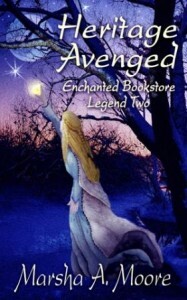 All five volumes of the Enchanted Bookstore Legend are available on Amazon. 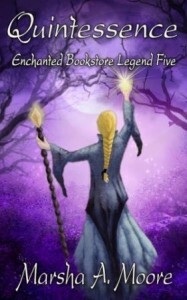 The Enchanted Bookstore Legends are Epic Fantasy Romance novels about Lyra McCauley, a woman destined to become one of five strong women in her family who possess unique magical abilities and serve as Scribes in Dragonspeir. The Scribes span a long history, dating from 1,200 to present day. Each Scribe is expected to journey through Dragonspeir, both the good and evil factions, then draft a written account. Each book contains magic with vast implications. 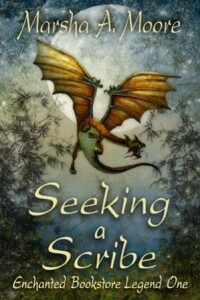 When Lyra reopens that enchanted book, she confronts a series of quests where she is expected to save the good Alliance from destruction by the evil Black Dragon. While learning about her role, Lyra and Cullen fall in love. He is 220 years old and kept alive by Dragonspeir magic. Cullen will die if Dragonspeir is taken over by the evil faction. Today I’m hosting fantasy author Christopher Kellen on the topic of drafting. On March 1st he’s releasing his new novella, SORCERER’S BLOOD, lesson three in his Elements of Sorcery series. However, that’s not to say that seeing how different people work can’t be helpful, so hopefully a little bit of insight into my personal process can help you get a handle on how a book like SORCERER’S BLOOD goes from a rough first draft to a polished novella in about 60 days. When I write shorter works, I rarely outline. I’ll usually have some idea of the beginning and ending of the story in my head, but the in-between is generally hazy at best. My writing method could best be described as “discovery”—I do best when I don’t necessarily know everything that’s going to happen in advance. Sometimes I only know the beginning, and discover the rest as I go along. For SORCERER’S BLOOD, all that I knew for certain when I sat down to write it was the opening scene. I had the visceral vision for a murder (which you can see on my guest blog stop at Daniel R. Marvello’s blog) and the fact that it was my POV character being murdered made for a really great image. From there, the story developed organically. I knew who the background players were, thanks to some brainstorming that I’d done for a flash fiction piece last summer, which will actually be included with the new book). The actual plot, however, spun out as I went along. I knew the themes that I wanted to evoke (change, desperation, the measure of bravery) and I made sure that the story kept to those themes while maintaining my character’s voice. One of the nice things about writing this particular series is that I’m hardly ever at a loss for words. The character of Edar Moncrief is particularly verbose; that is, he likes to talk. I find it pretty easy to get into his voice and spin story; the trick is to keep him moving forward, because without an impetus, he’d be happy to just sit around and talk forever. Several times, throughout the course of drafting, something changed. Since I trained on NaNo (National Novel Writing Month), though, I made sure to write down the things that had been altered by the development of the story, but I didn’t let it slow me down. Instead, I pushed ahead to the conclusion, and once I was there, I went back and combed through to make sure all of it fit together. This is the reason I don’t publish my first drafts. Well, that, and it’s terribly unprofessional! The process is a bit different for longer works. I find that I do well for novel-length work if I at least have some kind of outline to work with, so that I remember where I am and where I’m going. It’s worked well for both my novel LEGACY (released June 2012) and my science-fiction thriller, SINS OF THE FATHER (released December 2012). When I’m working with an outline, though, the finished product rarely looks anything like the outline. When I wrote LEGACY, entire scenes that were nowhere in my original thought process inserted themselves; and in SINS an entire sub-plot developed that I’d never foreseen. For me, though, it’s not writing if I’m not discovering something. If everything’s inevitable, I find it much harder to write, because it feels like it’s already been written. Now, of course, this is just the way my mind works. I know several authors who can’t write at all without a thorough outline that mostly resembles the final product. I fully believe that if you’re looking to write, you should try several different approaches and find the one that works best for you. Writing isn’t something you can just start doing. It takes time and experimentation to figure out your process, to hone your plotting and prose skills, and to discover what stories you want to tell. When you get there, your process will probably be entirely unique, just like the stories you create. 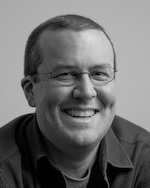 Christopher Kellen is the Amazon.com best-selling author of SORCERER’S CODE, a novelette which tells the story of how the sorcerer Edar Moncrief originally encountered the Arbiter D’Arden Tal. His heroes of literature are those who are fearless in telling stories that truly mean something to their readers. He lives in New Hampshire with his wife and monstrous black dog. A proud member of the Genre Underground! Today we’re celebrating the release of new epic fantasy novel, The Last Priestess, by Elizabeth Baxter. One of the characters from The Last Priestess, Leo, has popped over to join us. And so a magical journey of darkness and redemption begins. So, Leo, can you tell me a little bit about yourself? Of course. Glad to be here! Honored indeed! My name is Leo March, the most famous minstrel in all Amaury. Don’t listen to those niggards who say I’m a bragging fool with no talent – they are just jealous. I spend my life wandering the land, entertaining the noble folk with my musical talent and fine wit! Although my job has become a lot harder since the civil war came. People don’t trust minstrels anymore – what with the Songmaker posing as one and singing people into death with his power. Damn selfish of the man, in my opinion. Why couldn’t he pose as a milk-maid or stable boy instead? How did you become a minstrel? I beg your pardon? Become a minstrel? You make it sound as though I chose this profession like a common worker. You don’t become a minstrel, you’re born a minstrel. It’s a gift, a talent, something deep inside. And like any good minstrel, I’m sharing my gift with the whole world! You have some interesting companions in The Last Priestess. How did you meet? Hmm. It was a little embarrassing to be honest. You know how I said it’s difficult being a minstrel at the moment? Well, this was brought home to me when I visited Angard, a town down in the south. I was hoping to make a bit of a name for myself – you know, a few songs here, a few tales there. But things didn’t quite turn out that way. Unbeknown to me, the Songmaker had called down a magestorm on the town. So when the locals saw me, they set on me, thinking I was the Songmaker! Can you believe it? Me, a rebel? Outrageous! Luckily, Maegwin and Rovann rescued me and we’ve been travelling together ever since. Maegwin and Rovann? Who are they? Maegwin is a priestess from somewhere down in the south. She doesn’t talk about it much but I think something bad might have happened to her. However, my tales and songs soon cheer her up! Rovann is a king’s man. I’m not sure he likes me. I get the impression he thinks I’m a bit of an idiot but I’ll soon win him over with my fine wit! We’re travelling to the capital where I will bowl them over with my singing talent! They’ll all soon be flocking to get a glimpse of the famous Leo March! But I think there’s more to Rovann than admits. I’ve not let on about my suspicions of course. I know how to keep a secret. But hopefully the mystery will be solved when we reach Tyrlindon (that’s the capital). Ah, mystery and adventure! What could be better than a minstrel’s life? The Last Priestess is available from Amazon. I’ve been a bookworm since I was five years old. The first book I ever read was about a boy going shopping with his mum. I picked it up from my brother’s bedroom floor and suddenly those strange shapes on the page made sense. I could read! Hallelujah! I was soon working my way steadily through the school library and it wasn’t long before I realized that stories about dragons, elves and great big talking lions were by far the most interesting. And that was it, my obsession with fantasy fiction was born. Cynthia and I did a guest post swap, and you can check out her article on character development over on my blog, True Knights. When we look up into the night sky, we see a black void full of glittering stars. When we start writing a book… we have the whole black void thing, and that’s about it. Obviously, this is the hard part about writing. But it doesn’t need to be hard. There are simple steps you can take to ensure your writing journey is a happy one, in which you do not get sucked into space and sort of… float around. First off, you need to think what sort of storyline you want to write. Do not chase the market and write what is currently trending. Follow your heart, because if you don’t love it, nobody will like it. Once you have a simple concept, you have to figure out what kinds of characters would be the best to carry out the story. Feel free to picture established characters; we all draw inspiration from somewhere; the important part is crafting inspiration into our own creations, rather than carbon copies. At this point, you will begin what I call a tempering period. Simply put, you will go from the story to the characters, back and forth, developing each until the other needs to pick up the pace. Just like steel sharpens steel, your characters and your storyline will sharpen one another. So you’ve got that, but let’s be clear; you haven’t even started the first draft of the book yet! What you have done is lay out the foundation, making the next step even easier. And why do I say ‘even’ easier? Because the first draft always needs to be revisited, whether it be for spelling errors, adding new ideas, correcting certain flaws. Whatever. Keep it fresh in your mind that you will be back, no matter how good you do. So! No pressure. As a writer, your first duty is like the first step I mentioned; follow your heart. Write what you want to, and if it gets boring or complicated, throw in some plot twists to spice things up. Don’t worry overly much about terms, names, one-liners; enjoy writing the story, and come later to smooth everything out. Cover to cover seems like such a daunting task, but you’ll be surprised at how fast it flys by, and you’ll miss it once it’s all over… for a day, and then you’ll realize with editing and the new era of self-promotion, your book isn’t ‘leaving home’ anytime soon! My name is Steven M. Vincent. As a kid, all I ever wanted to do was immerse myself in video games. They were 16-bit and not much for plot, but that prompted me to create my own stories. I guess you could say that’s where my storytelling began. I started writing in mid 2009, and I’ll always remember the feeling of satisfaction I had when the story was completed. Still, it was only the beginning. I had a lot to learn; editing, how to contact agents, how to sell myself. And I’m still learning. I hope I always will be, because that’s what gives life meaning. Agents didn’t work out, and that’s how I discovered the wonders of Kindle. The ease of self-publishing was very inviting, and though I knew it would be challenging, I took that path. Now my only goal is to bring my stories to the world, and pass on what I’ve learned along the way. The Landers and Unders are at war. The Landers just don’t know it yet. This ebook is currently available in the Amazon Kindle Store and will soon be available from all major ebook retailers. I put together a comprehensive sample on the Lost Luggage Studios site that includes a short excerpt from each story. Read the sample here. Jamie Alan Belanger earned a bachelor’s degree from the University of South Florida in Computer Science and worked for a small software company in Tampa for eight years before moving to Maine to pursue his own projects. He currently works for a company he started with his brother Paul, Lost Luggage Studios. His interests include computers, writing, photography, and designing worlds he’d rather live in. 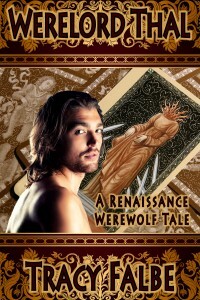 The Feel Real Fantasy Blog Tour celebrates the completion of the Rys Rising series by Tracy Falbe. Today’s stop introduces you to Demeda, princess of the Sabar’Uto Tribe and Handmaiden to the Goddess. Magical items: Enchanted crystal orb that connects her to the Goddess, Onja. Growing up in the royal palace of a powerful tribe gave Demeda many luxuries but no privileges. Her society is a strict patriarchy where women have no rights and must keep their faces covered. As a daughter of the King’s first wife, she accepts that her marriage will be arranged and strategically important to her family. But when she learns that she is to be wed to her tribe’s arch enemy as part of a peace deal, she becomes enraged, especially because she is to be the man’s fourth wife. Incensed by that insult, she refuses to cooperate but is beaten and drugged into submission. During her journey to her wedding an unexpected fate intervenes. The outlaw Amar on a mission to interfere with the peace plan kidnaps Demeda and her brother. Although terrified, Demeda takes her opportunity to break free from her unwanted duties. She throws away her politically precious virginity and embarks upon the outlaw life. The stakes are always high for Demeda as she tries to maintain the interest of Amar, whose favor is crucial to her survival. She’ll betray her tribe to please him. Eventually she encounters the powerful rys Onja who is asserting herself as the Goddess of all people. Demeda will become the loyal servant of Onja and attain the rank Handmaiden of the Goddess. Despite the prestige of this position, it remains a perilous duty for Demeda. Demeda is born of my memories of being a teenager. She makes rash life-changing decisions driven by passion. She defies authority, especially parental authority. She constantly tries to escape the limited options open to her, but making a new role for herself is very difficult. She is vulnerable but ambitious. She is also a bit of a natural criminal, but she is not without a heart. As years go by, she gradually begins to accept the constraints of duty for the sake of others. All her transitions are painful but she rarely regrets what she has done. Demeda prepared a cup of tea for herself. She was comfortable with her lack of remorse about the two villages that the Kelsurs had sacked already. They were out terrorizing a third village as she sipped tea with Amar. Returning to the land of her tribe had summoned few nostalgic feelings. She had grown up so cloistered that the land bore almost no familiarity to her. The rural districts of the Sabar’Uto Domain were as new to her as any other place. Halfway through his cup, Amar set it aside and reclined with his hands behind his head. “Tell me everything you can about the royal palace in Chadenedra,” he said. “Are we going there?” Demeda asked. Her disquiet fluttered on sleepy batwings in the back of her mind. “What do you need to know?” she said. “Everything you can tell me,” Amar insisted. “It would help if I knew what you mean to do,” Demeda stalled again. “That’s what you want isn’t it?” Amar said. “I never said that,” Demeda whispered uncomfortably. Although not really reassured, Demeda accepted that she was going to aid Amar in every way that she could. Her wicked treachery would be no harder to live with than the cruel betrayal dressed up as duty that her family had inflicted on her. Demeda reclined on her cushion, striking a sultry pose by second nature. She watched Urlen who was avoiding eye contact. “What is this about?” she asked and gestured with her cup at the privacy he had drawn down around them. She sat up, excited. She loved it when she could be useful. Demeda wilted, losing interest because the subject was boring. “Well, yes, but a man as talented and respected as him can pick his projects. He does not have to design and build for just anyone who can pay, and he seems uninterested in working for the Kezanada,” Urlen explained, irked that his criminal status brought great power but not always respect. “Onja has yet to fill the heart of every man with love for her,” Urlen said. “To tell the truth, he even ignored my invitation to work on our project. But he is the man I really want, so I had him brought here.” He twiddled his fingers with nervous guilt. Demeda giggled, knowing what he meant. She found it amusing that scholarly Urlen had such sinister forces at his disposal. People often regretted underestimating him. Demeda narrowed her eyes suspiciously. “How am I to put him in a better mood?” she demanded. Urlen groped for an explanation, but she did not wait for his answer. She shook a finger at him and told him that she was not going to perform any common favors. “I am loyal to Amar,” she concluded proudly. He scrambled to reassure her. “No, no. Not like that. If he wants physical favors, I’ll get other women for that, but I’m sure that your company alone would please him. Use your charms to entertain him, make him feel good about himself. You are a Sabar’Uto Princess and the Handmaiden of the Goddess. You are rare and beautiful. You are extraordinary! Show him that working for us will let him have a life like no one else can offer,” he explained, finding his eloquence. Despite the flattery, Demeda frowned at him, unconvinced. “Just make him do it, Urlen. Tell him he’ll die if he doesn’t do it,” she suggested. She could not quite see why she needed to be bothered with Urlen’s little issues about hiring help. Start reading Rys Rising for free, and enter the prize drawing.